If you’re in the market for a new sport utility vehicle (SUV), be sure to check out the following listing of the best new SUV deals and incentives August 2011. While there may not be as many incentives as in previous months, if you do your homework, you can still come out ahead. We’ve combed the various manufacturer sites to arrive at the following listing of current deals. Here is just a sampling. $3,000 cash back OR zero-percent financing for 60 months OR 1.9 percent financing for 72 months. Offer expires October 3 and is available in the Northeast, Southeast, Northwest, West and Southwest. 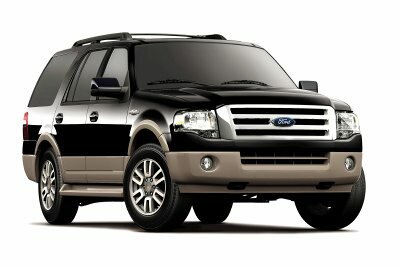 The starting MSRP for the 2011 Ford Expedition ranges from $36,205 to $52,305. 2011 Ford Explorer – All-new for 2011, the Ford Explorer midsize SUV is more crossover than SUV with its redesign. It’s also a hot seller for Ford, which, nonetheless, is offering $1,000 cash back to qualified buyers in the Northeast, Southeast, Northwest, West and Southwest. Explorer starting prices range from $28,360 to $39,535. Offer expires October 3.
while the offer is $2,000 cash back available to well-qualified buyers in the Northeast, Southeast and West. 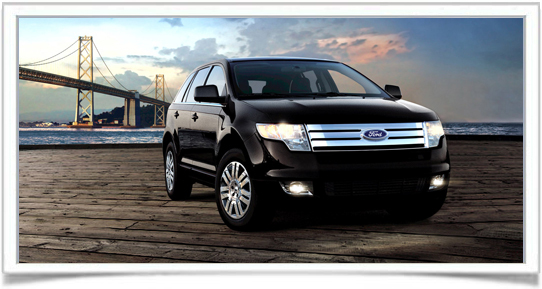 Starting prices on the 2011 Ford Edge range from $27,515 to $38,375. Offer expires October 3. 2011 Ford Escape – Check out the $2,500 cash back OR $500 cash back plus zero-percent financing for 60 months or 1.9 percent for 72 months. Available in the Northeast, Southeast, Northwest and Southwest. In the West, the deal is $3,000 cash back OR $1,000 cash back plus zero-percent financing for 60 months or 1.9 percent for 72 months. All offers expire October 3. 2011 Hyundai Tucson – If a Hyundai is on your mind, the 2011 Tucson may be right up your alley. Check out the 1.9 percent financing for 36 months, but don’t wait too long. Offer expires August 31 (and may not be available in all regions). 2011 Volkswagen Tiguan – Here’s another zero-percent financing for 60 months offer, available through August 31. 2011 Chevrolet Tahoe – Want a full-size SUV that can tow, haul people and cargo? The 2011 Chevrolet Tahoe is available with zero-percent financing for 60 months (not the Hybrid model). Offer expires September 6. 2011 Chevrolet Suburban – If your towing needs are even greater, consider a 2011 Chevrolet Suburban, half-ton or three-quarter ton. Get $3,000 cash back or zero-percent financing for 60 months. Offer expires September 6. 2011 GMC Terrain – Try zero-percent financing for 36 months. Offer expires September 6. 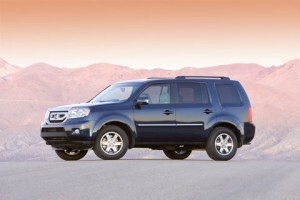 2011 Honda Pilot – The offer here is 0.9 percent financing for 24-36 months OR 1.9 percent financing for 37-60 months. 2011 Nissan Armada – Buyers can choose from 0 percent financing for 36 months or $3,500 cash back in the Northeast, Southeast, Northwest, West and Southwest on the 2011 Nissan Armada. Offer expires August 31. 2011 Nissan Pathfinder – Nissan is offering two regional deals on the 2011 Pathfinder SUV. In the Northeast, the offer is 0 percent financing for 36 months, 1.9 percent financing for 60 months OR $2,000 cash back. In the Southeast, Northwest, West and Southwest, it’s the same 0 percent financing for 36 months, 1.9 percent financing for 60 months OR $2,500 cash back. All offers expire August 31. 2011 Nissan Xterra – Available in the Northeast, Southeast, Northwest, West and Southwest, the deal on the 2011 Nissan Xterra is 0 percent financing for up to 36 months, 1.9 percent financing for up to 60 months, 2.9 percent financing for up to 72 months OR $2,000 cash back. Offer expires August 31. 2011 Jeep Grand Cherokee – Jeep is offering 1.9 percent financing for 60 months OR $1,000 cash allowance. Offer available in Northeast, Southeast, Northwest, West and Southwest, but expires September 6.